A monthly religious and general periodical that circulated amongst the Unitarians of south Wales. The periodical's main contents were articles on religion, politics, social issues, literature and science. 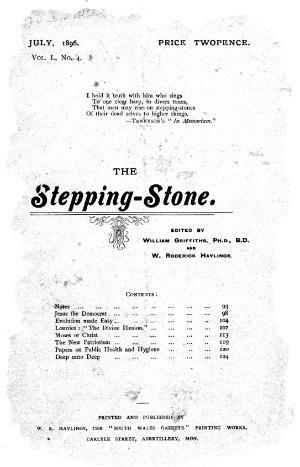 The periodical was edited by the Unitarian minister and Hebrew scholar, William Griffiths (1859-1940) and W. Roderick Haylings.